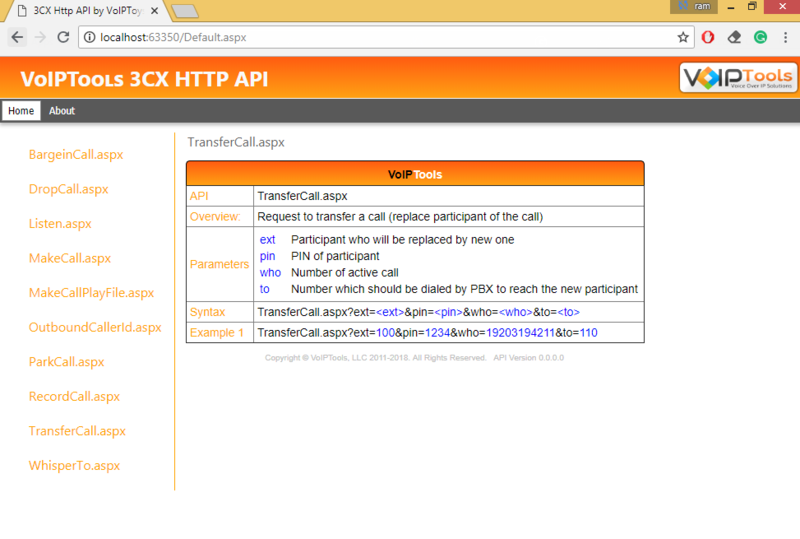 Our 3CX Http API makes it easy to integrate phone functions into your applications. 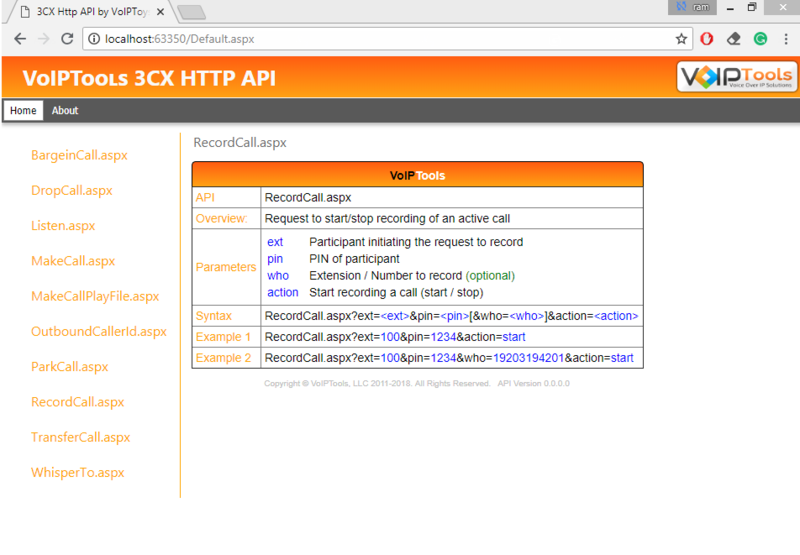 By abstracting the complexities of the 3CX Call Control API into a simple-to-use API, even a novice programmer can integrate with 3CX. 1.1. What are the API Methods? 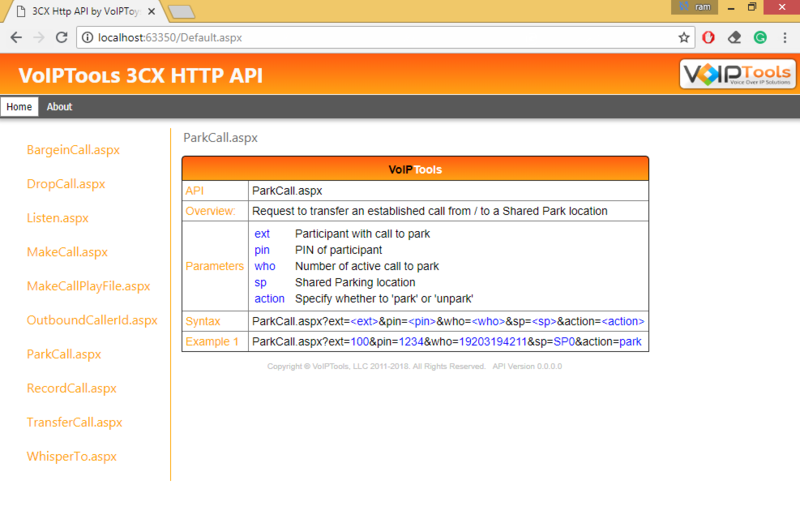 Our Http API makes it easy for even novice programmers to incorporate 3CX phone functions into your applications. 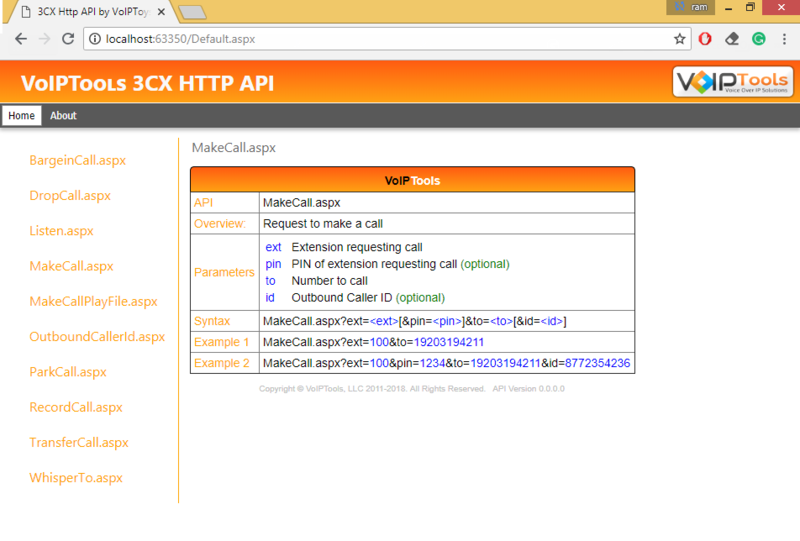 With over a dozen methods to choose from, HTTP API is perfect for helping create your custom 3CX solution. 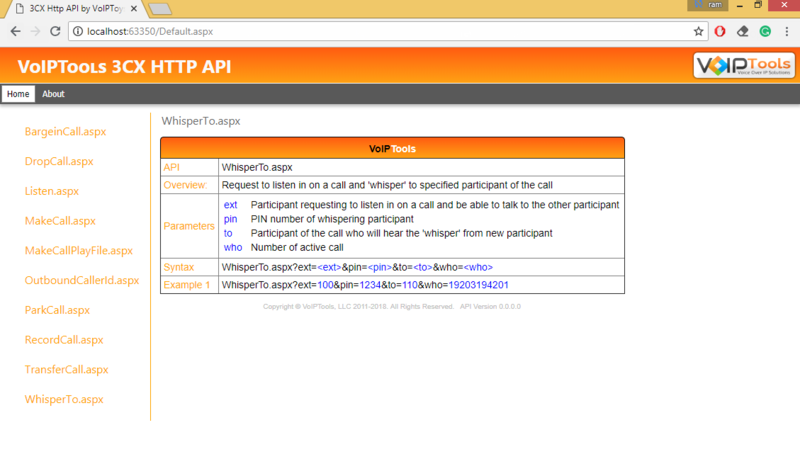 A view of all the API methods is displayed in the Appendix section of this manual. 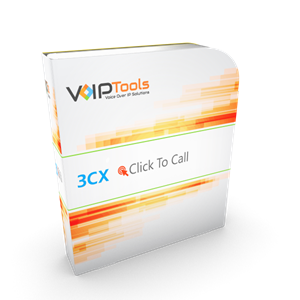 You can order 3CX Http API on-line at http://www.voiptools.com. Your order confirmation email will include your license key and a link to download the software. 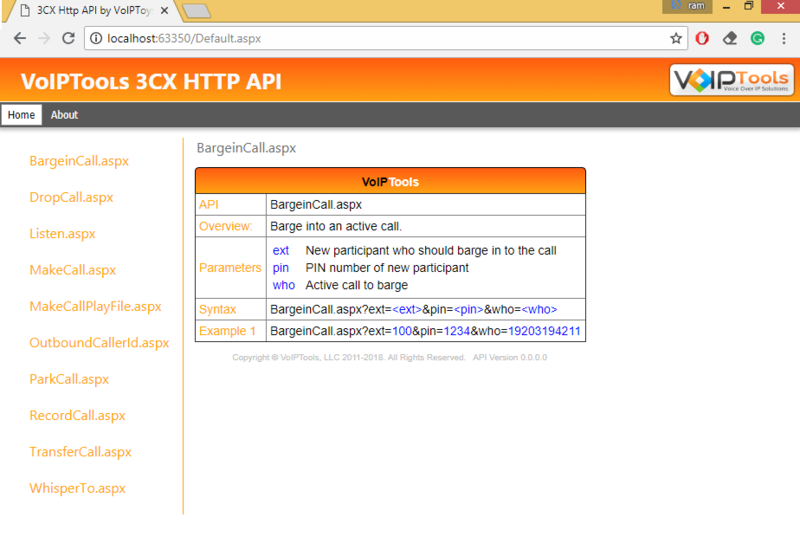 There are a number of prerequisites that must be installed prior to installing 3CX Http API. 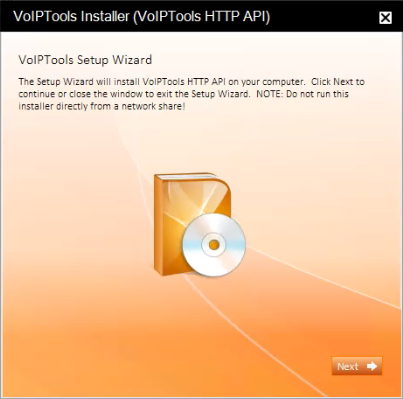 These prerequisites include Microsoft Internet Information Server (IIS). 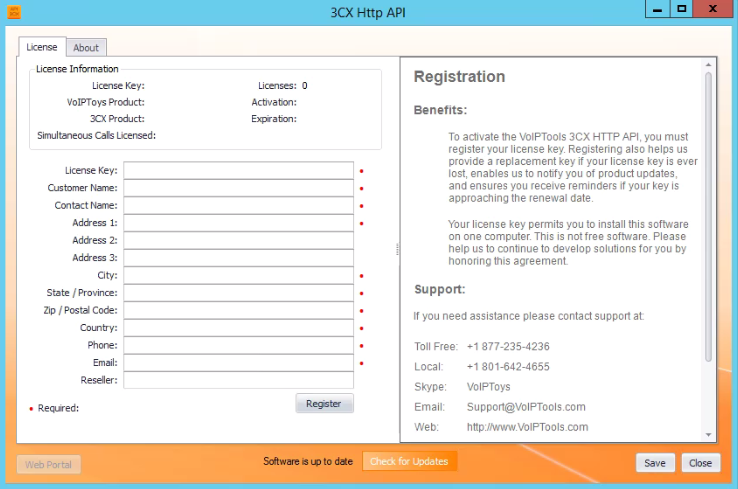 You must register your license key to activate 3CX Http API. Your license key is included in your order confirmation email, and can also be found in your order history on our website. 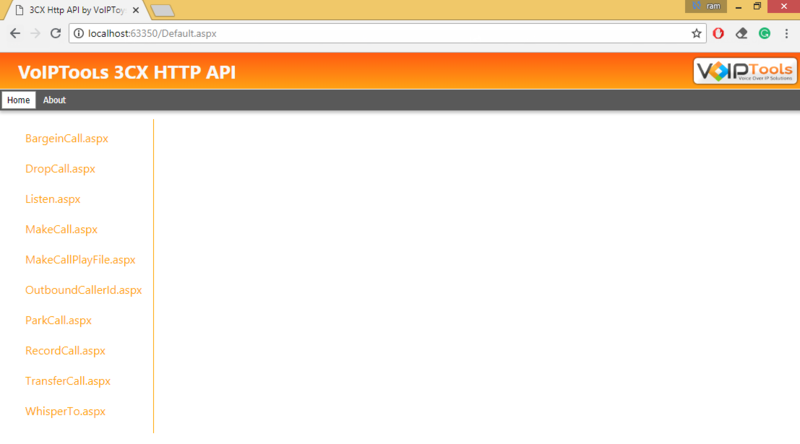 A separate license is required for each server utilizing the API. You do not require license for workstations. 2. 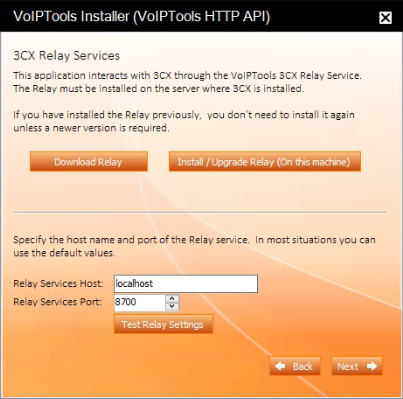 If you are installing 3CX Http API directly on the 3CX server, you can install the Relay simply by clicking the Install/ Upgrade Relay button and following the Relay install instructions. 1. 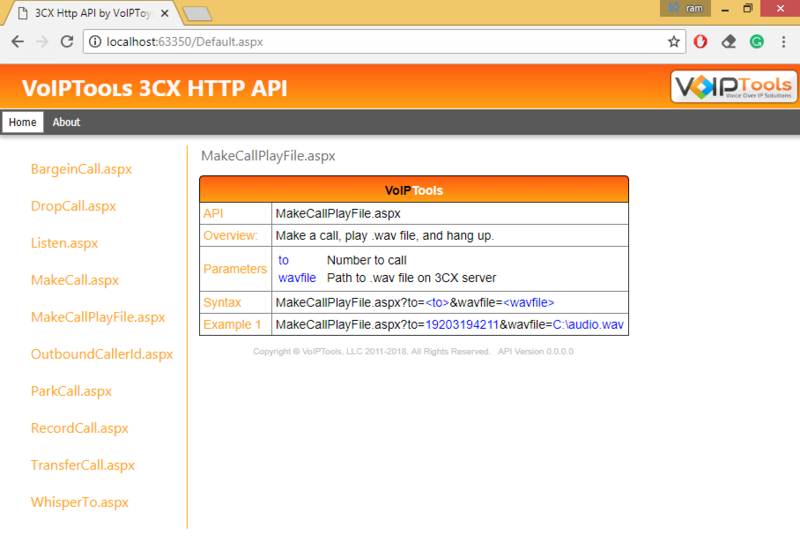 In the Relay Services Host field, enter “localhost” if installing 3CX Http API on the 3CX server. If 3CX resides on a different server, enter the IP address or FQDN of the 3CX server. 3. 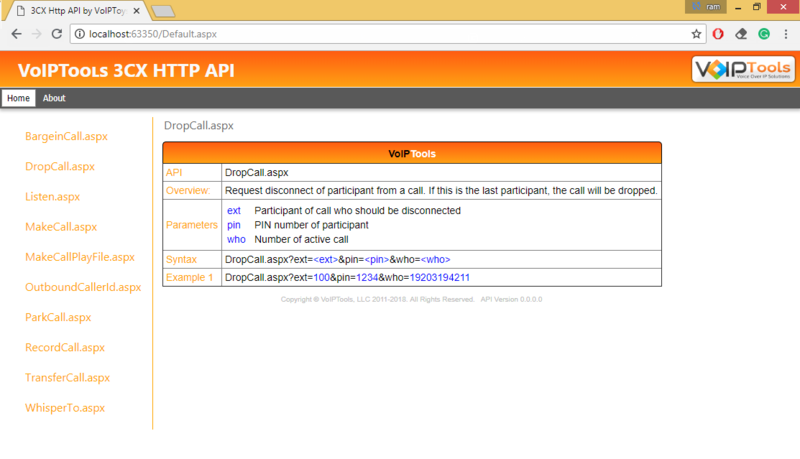 Click Test Relay Settings to confirm 3CX Http API can communicate with the Relay services running on the 3CX server. 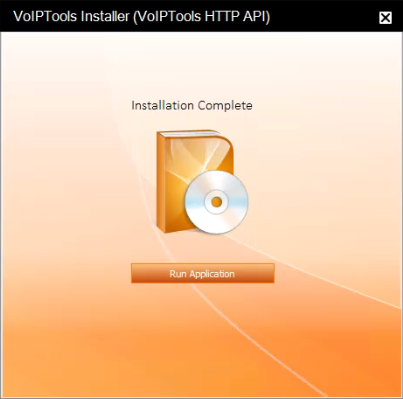 When the installation is complete, click Run Application button. 1. On the Settings menu, and in the License tab, enter your registration information in all the fields (Note the red dot denotes a required field). 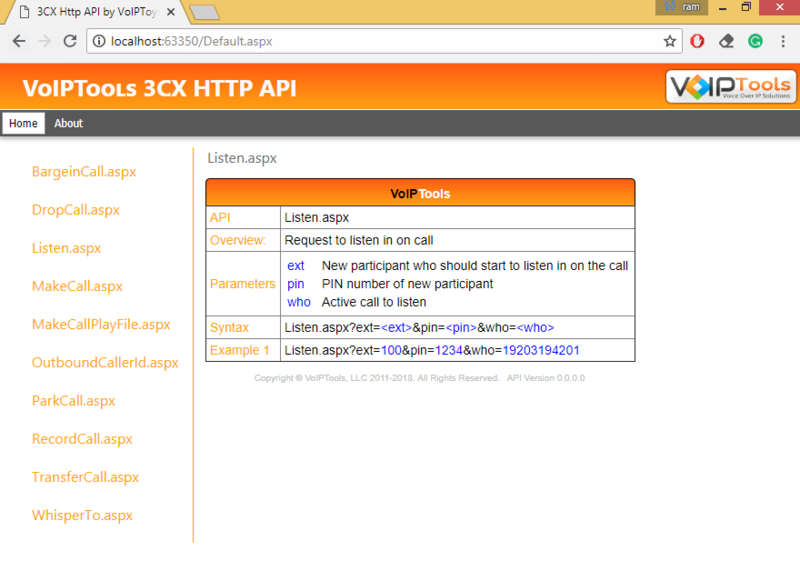 To access the ‘3CX Http API’ web portal, click the Web Portal button on the configuration program, or click on the desktop icon that was created during the installation process (3CX Http API).